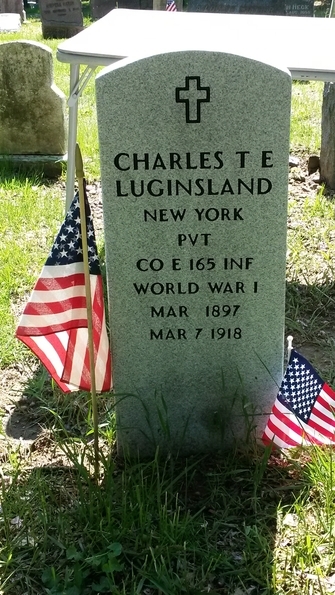 On Saturday, May 17 there was a Memorial service for Charles T. Luginsland at Evergreen Cemetery , Brooklyn NY . 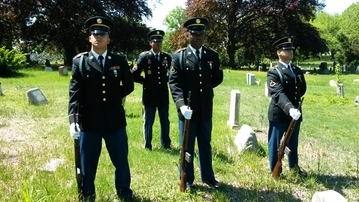 Charles was a casualty of WWI who the family thought was buried in the National Cemetery in France. 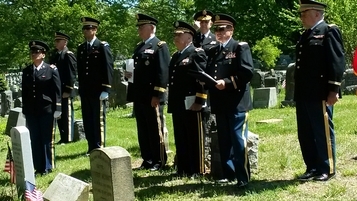 His death was portrayed in the movie the “Fighting 69th” as he was one of the nineteen men who died as a result of a direct hit on the dugout that the men were in. 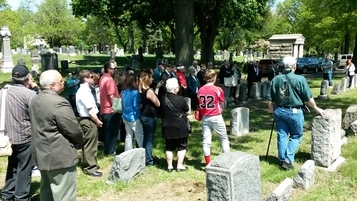 After much research it was discovered that he was brought back home to be buried locally at the request of his father. 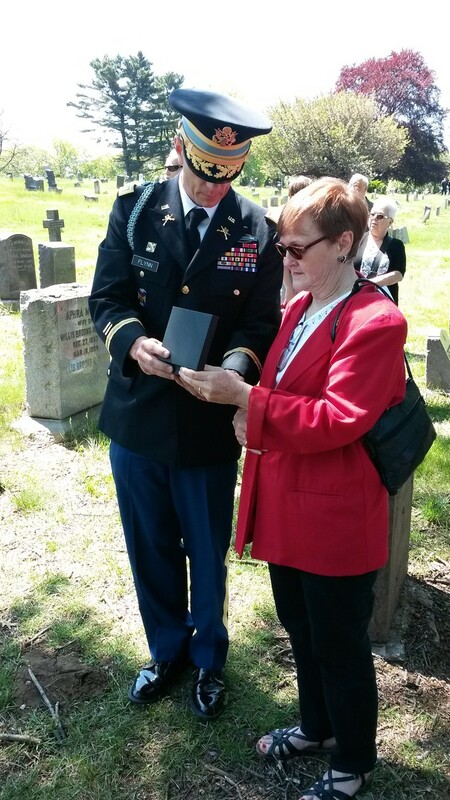 We found that his gravestone was unrecognizable and his name erased by the elements. 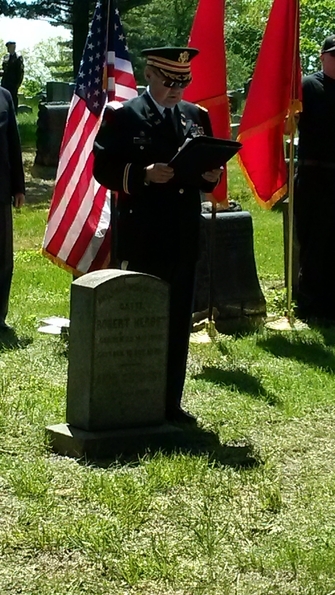 Finally, he has received a military headstone from the VA and his life and the sacrifice he made will be celebrated not only by family members, but by representatives of the Fighting 69th and the 42nd Division, and the Rainbow Association.